The seating fabric in a vehicle is exposed to constant abuse but leather seats require an extra amount of tender care. The first rule of thumb in leather seat maintenance is regular cleaning. A large number of car owners fail to realize that the absence of leather cleaning allows natural body oils from a person’s legs or arms to slowly build up and stain the car seats. However, using the wrong products to clean leather seating can cause serious damage to the leather material. Hint: do not use any soaps, silicons or cleaning oils. Middle Tennessee Detailing strongly urges that you let us take a good look at the leather seats of your vehicle and assess the extent of damage to the leather. Our professional mobile detailing experts offer both repair and restoration of any automobile leather seats. Middle Tennessee Detailing services also offer cleaning and appropriate conditioning to protect existing leather car seats. The restoration of leather car seats in a vehicle is a cost-effective way to bring the auto interior back to life and add major value to your precious cargo. As a company concerned with the growth of future generations, our leather seat restorations and repairs are done environmentally safe. A positive element to owning a car with leather seats is the fact that leather is a material that can last for an incredibly long period of time if it is properly taken care of on a regular basis. Leather seats bear the brunt of holding and supporting the bodies of both you and your passengers. The wear and tear breaks down the leather slowly but surely. Because vehicles spend a great deal of time outside under the burning sun and sitting in the rain, etc., you might begin to notice unsightly cracks and tears in the leather. 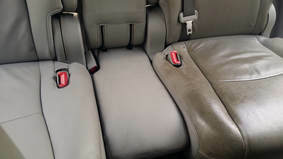 You can depend on the leather seat professionals from Middle Tennessee Detailing to use their special process of leather restoration to make your car seating whole again. Before the restoration process can be put into place, our mobile car detailers roll up their sleeves and prepare the seats with a thorough cleaning….vacuuming and brushing. Then the remaining dirt is wiped away with a soft cloth or a special brush for stains that are harder to remove from the leather. All cleaning residue left behind on the seating is gently wiped off and the leather seats are allowed to dry thoroughly. Once the interior cleaning of the car is ready tfor the next step, our mobile car detailers determine whether the seats need restoration or replacement. This is just the basics of our company’s leather seat repair or restoration. There can be much more to the process, depending on the extent of repair needed. As you can see, car seat restoration can take a big chunk of time. 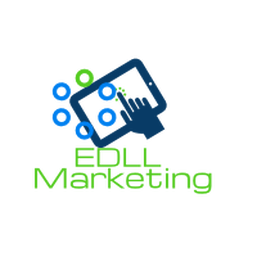 Save yourself the hours, labor and frustration of trying to restore your auto’s leather seats by yourself and hire the pros from the mobile car detailing company that will get the job done efficiently (Middle Tennessee Detailing) for Murfreesboro, TN.